In 1972, Paul Henderson scored the winning goal in Game 8 of the Canada vs. Russia Summit Series, considered to be one of Canada’s most defining sports moments. The jersey Paul wore in that game is a symbol of national pride and in 2011 it was toured across the country. 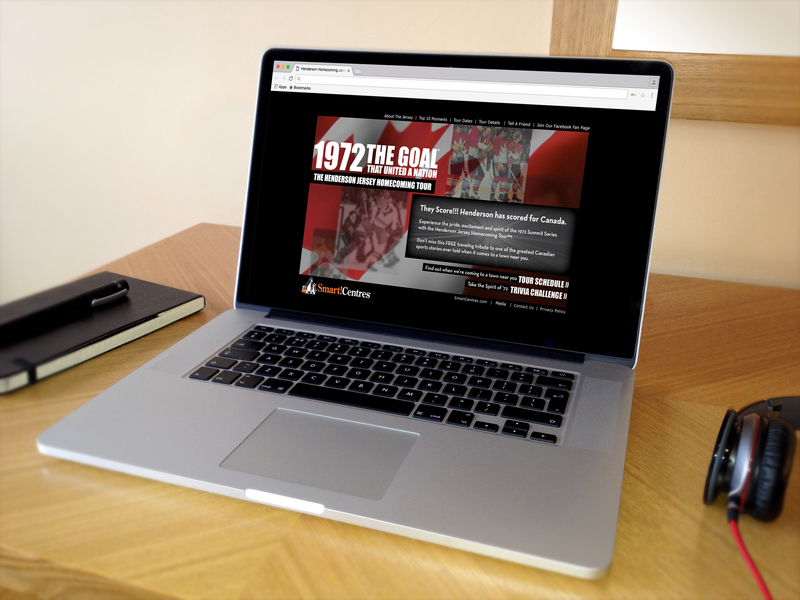 As part of the promotion, this micro site and trivia game became a major digital hub to help promote the tour and create engagement with online audiences. The site listed tour news, tour stops, and tested users knowledge with a trivia game centered around the 1972 Summit Series.